Current mainstream scientific opinion holds that all aspects of human mind and consciousness are generated by physical processes occurring in the brain. This book presents empirical evidence that this reductive materialism is not only incomplete but false. Topics addressed include phenomena of extreme psychophysical influence, memory, psychological automatisms and secondary personality, near-death experiences and allied phenomena, genius-level creativity, and mystical states of consciousness both spontaneous and drug-induced. The authors show that these rogue phenomena are more readily accommodated by an alternative ‘transmission’ or ‘filter’ theory of mind/brain relations – a theory that ratifies the commonsense conception of human beings as causally effective conscious agents, and is also fully compatible with leading-edge physics and neuroscience. 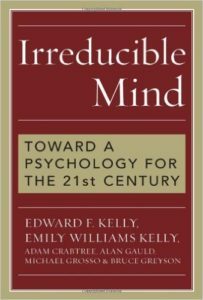 The book should command the attention of all open-minded persons concerned with the still-unsolved mysteries of the mind.